We are pleased to advise on Thursday 15th March, at our Cub pack meeting, we will be having a sponsored event for Comic relief. Please read below on the important aspects of this event and what we will be doing. Comic Relief's Red Nose Day will be The Big One, and a big year for Scouting too as we celebrate our Centenary. Since its launch in 1985, Comic Relief's Red Nose Day has been hugely popular with Scouts of all ages. So popular in fact that The Scout Association has teamed up with Comic Relief to encourage all Scout Groups to take part, and help make Red Nose Day 2007 even bigger and better than ever! Not only will we be raising money for a fantastic cause, which helps thousands of poor and disadvantaged people across the UK and Africa, the event will also form part Join-in-Centenary Programme, an important part of the Scouting 2007 Centenary celebrations. The Join-in-Centenary Badge, which is part of the special year-long Join-In-Centenary Programme, encourages Scouts to explore adventure, international friendship, community and the environment among other themes. Taking part in Red Nose Day 2007 is therefore a great way for young people to think about people in need around the world, and show their friendship by fundraising. Part of the Cub Scout promise is ‘to thing of others before themselves’.  What will 2nd Wakefield Cubs be doing? 1) Centenary Ball Bounce: In pairs Cubs will bouncing, catching and throwing a ball 100 times. Please support Comic Relief by sponsoring a Cub, and help them get sponsored by others. Thank you to all the Cubs who took part and to all relatives and friends who sponsored them. This event raised £110.50 which has now been paid into the Red Nose Day 2007 fund.